4th of July Devin and Caleb Fight: Bombs (Squad) Bursting in Air! 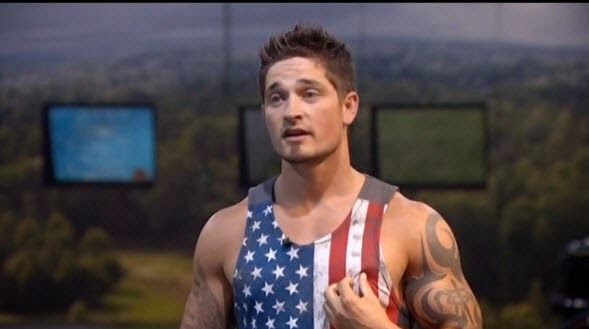 Wow 4th of July brought fireworks to the Big Brother house. Turns out it might have been the explosion of The Bomb Squad! 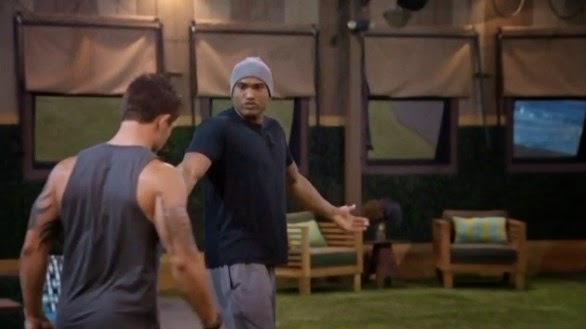 Devin and Caleb had an argument in the backyard while discussing Brittney being the target and the girls feeling scared to talk to Devin. There is more talk about Amber and Christine not wanting to vote Brittney out. Devin said Christine didn't say that to him. Caleb tells Devin it is because they are scared to talk to him. This eventually leads to Devin calling Christine to the backyard. He asks her if she was scared to talk to him and if she didn't want Brittney up. She said no but she gets nervous anytime someone wants to talk and as for Britney she is still feeling it out. Devin says if she doesn't want her gone all she have to do is say it and we can talk about it. Devin wants her gone because she will put them up and make the biggest game moves. Caleb said I thought it was personal now its game. Devin said fine its 50/50. 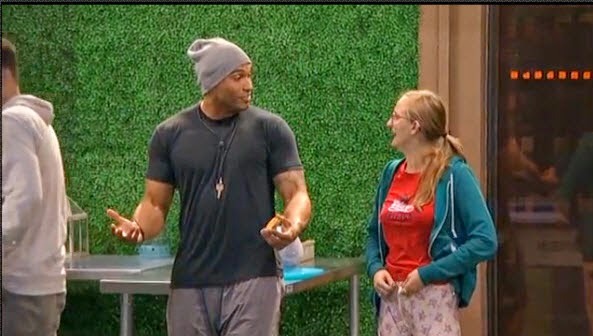 Devin asks Christine if it was true she didn't even want Brittney up to which she replied “I don’t care about Britney at all”. Devin says thank you all I wanted to know and walks inside the house. Derrick and Caleb reassure Christine she did nothing wrong. Hayden and Jocasta came out to do laundry. Christine says she's sorry and didn't want throw Caleb under the bus but Devin is intimidating. Christine tells them she appreciates them saying something to him though. Devin comes back out pulling Caleb aside. He says Caleb is losing it and he doesn't talk to the girls that way. Caleb tells him its “not what the house is saying”. 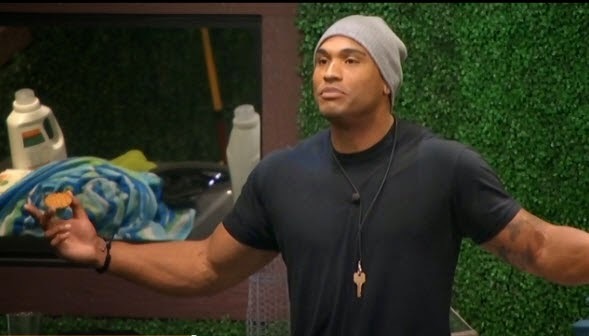 Devin snaps back with “There’s no more Alliance! Its done the whole thing is done!” (BOOM BOOM BOOOOM!!!). That was pretty much it some aftermath included talking about what happened and damage control by Frankie. This seems like the end of The Bomb Squad or at least Devin. The next few days will be very interesting. What do you think of this situation? Is Devin done for? Did Caleb earn some respect from you? Tell me your thoughts in the comments below. You can also reach me on twitter @CoryCShow Make sure you check back for all the Big Brother content you desire. And download the Big Brother Buddy App and follow us on twitter @BigBrotherBuddy for instant updates from the house.